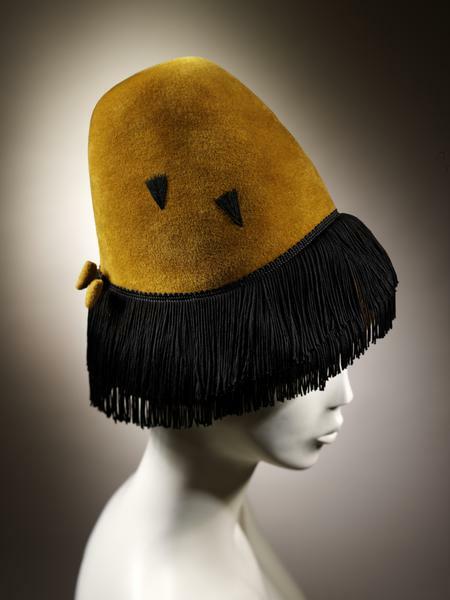 This hat was designed in 1957 by one of London's most prolific young milliners James Wedge. Wedge had graduated from the Royal College of Art and was offered a workroom space in London's famous Liberty department store. Wedge was not charged rent but merely had to give the Liberty buyers first pick of his hat creations. He went on to open his own millinery store in Soho in 1962, situated at the heart of the fashionable Carnaby Street area. His shows attracted numbers of buyers and press. 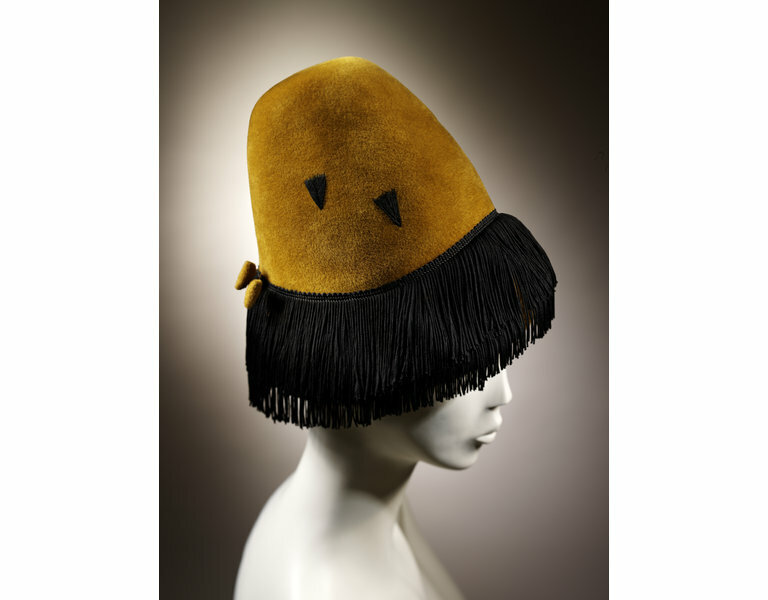 The sculptural style of blocked felt hat which perches at the back of the head, presaged the pill box style of hat which was to become incredibly popular in the following years of the early 1960s. It was a style most notably worn by America's First Lady Jacqueline Kennedy. The fringing around the edge of the hat gives it a youthful feel with its whimsical suggestion of a lampshade and adds movement to the hat when worn. 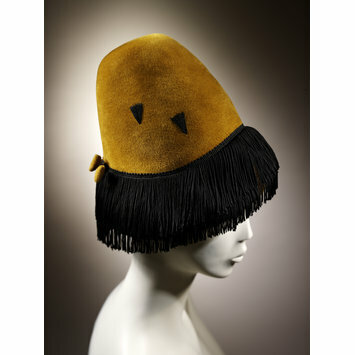 Deep mustard felt beehive cloche hat with a black fringe and small black arrow details. Two pins with their ends covered in mustard felt. Conical shape hat with the brim stitch creased up at the centre front and curving down over the ears. Inside the hat is finished with matching grosgrain band.